Even on a drizzly October day, the garden was a beautiful place to explore and unwind after a few hours on the road. 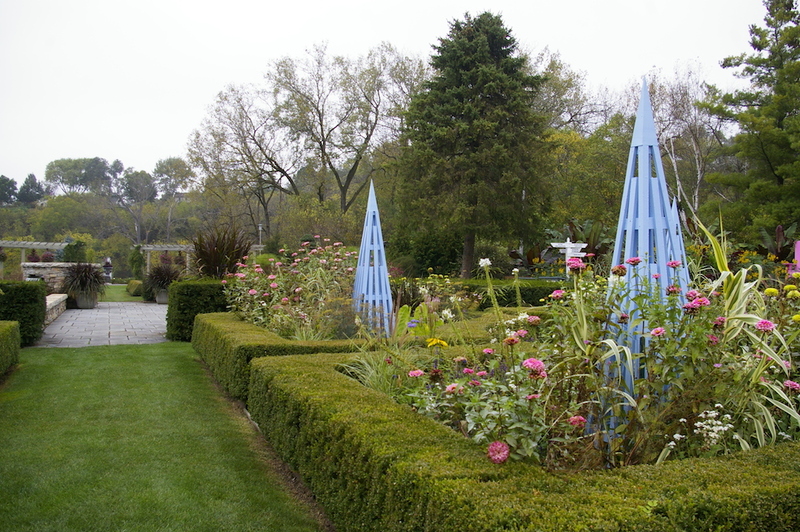 I’ll admit that at first I was surprised by how much of the 20-acre garden was still in bloom so late in the season. But it didn’t take me long to discover how the gardens were still this beautiful in the late fall. 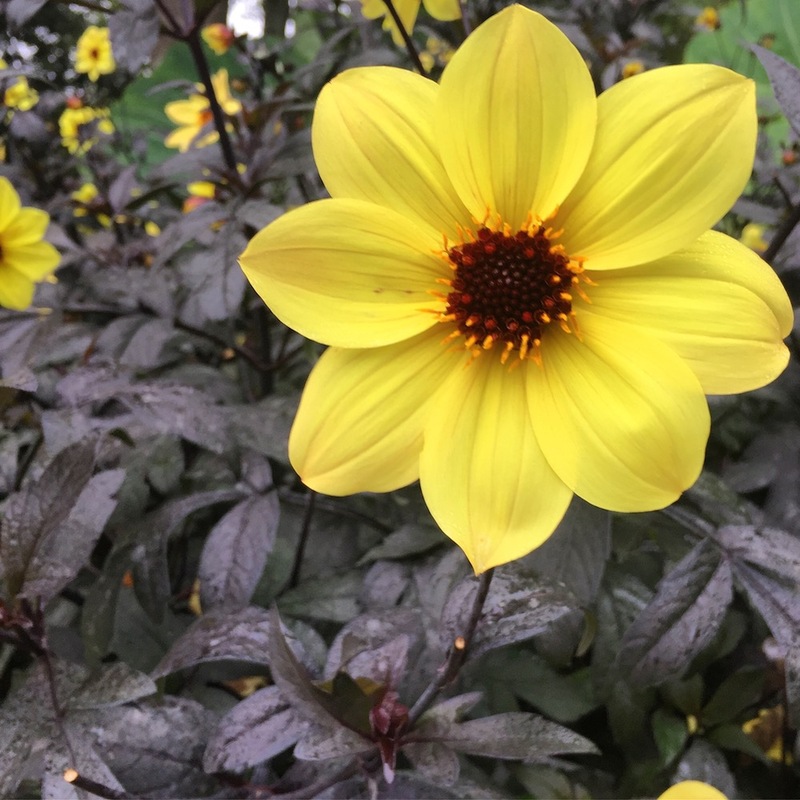 The bright blooms are truly a testament to all of the hard work the staff and more than 550 volunteers put in to keep the gardens looking beautiful. Looking around, it’s hard to believe that where the gardens now sit was once an abandoned sand and gravel quarry. In the late 1980s, the passion of retired orthodontist Dr. Robert Yahr alongside two local rotary clubs helped transform the land into something much more beautiful. 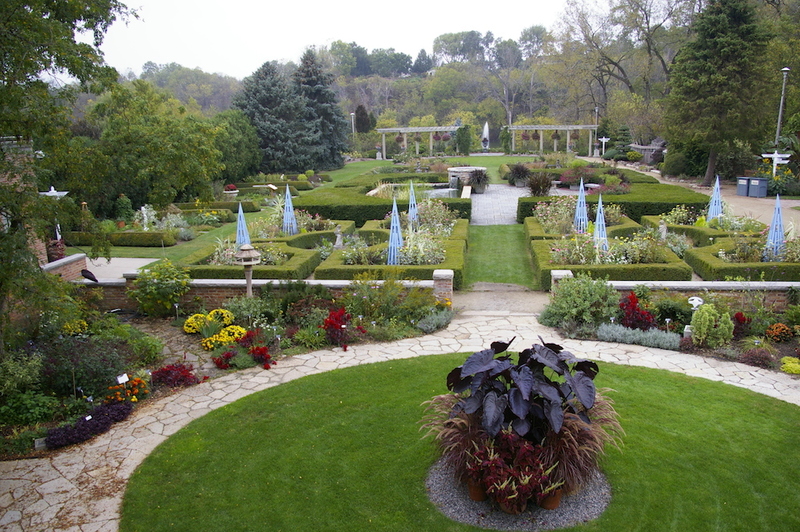 Today the Rotary Botanical Gardens has 24 themed gardens and more than 4,000 varieties of plants. The once forgot space has truly become an oasis hidden in the rolling countryside of Wisconsin. We started our exploration of the gardens with the English Cottage Garden. A low brick wall borders the beautiful garden space that overflows with colorful perennials. 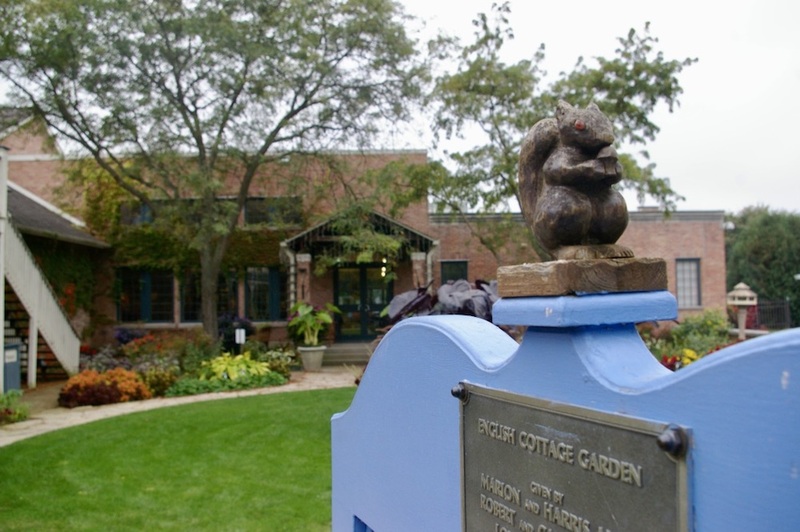 But the Rotary Botanical Gardens has many other theme gardens, including a Japanese garden that reminded me of the Anderson Japanese Gardens I’d visited in Rockford, Illinois, earlier that week. 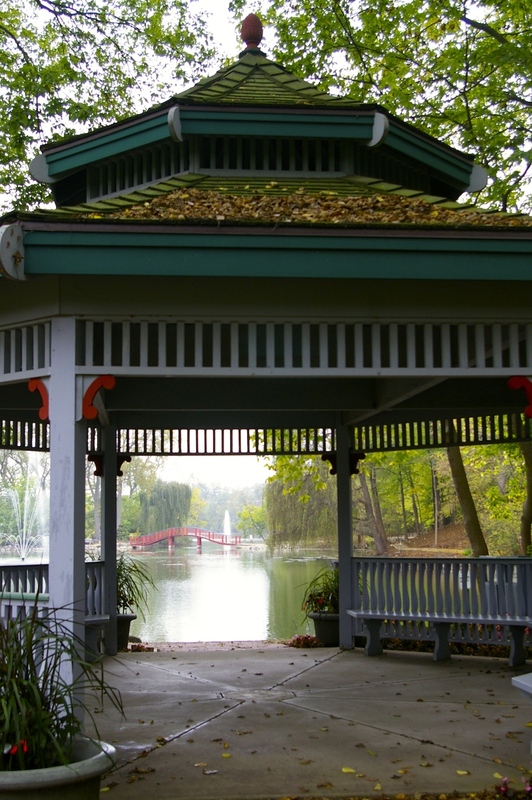 The Japanese Garden was the first built when the gardens opened in the late 1980s. 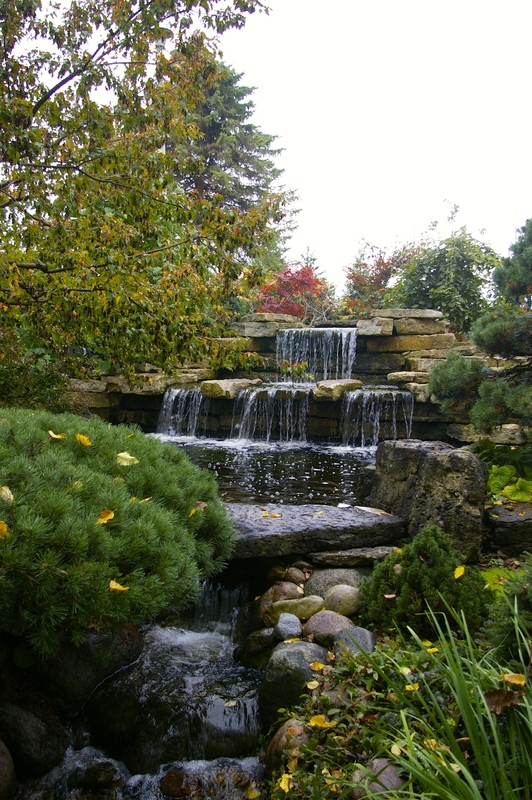 The garden includes many traditional Japanese features including a large water feature, gates, a waterfall, and an iconic, red bridge. 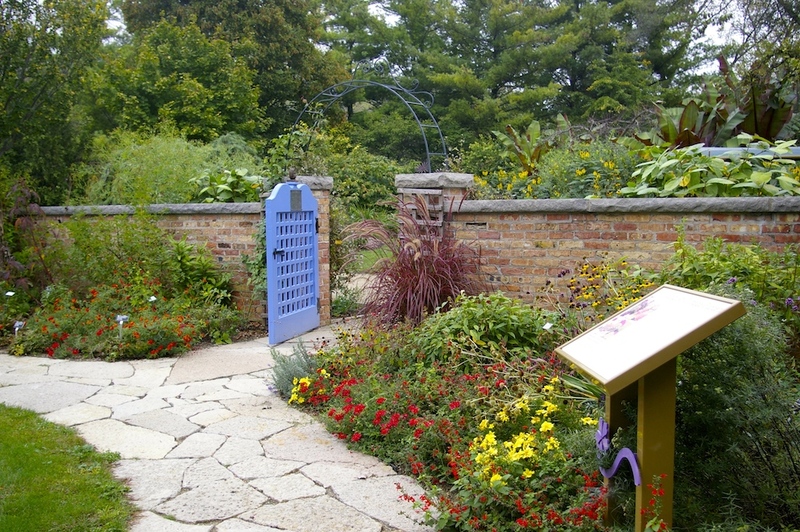 The Rotary Botanical Gardens is open to visitors year-round though admission is only charged from April through October. 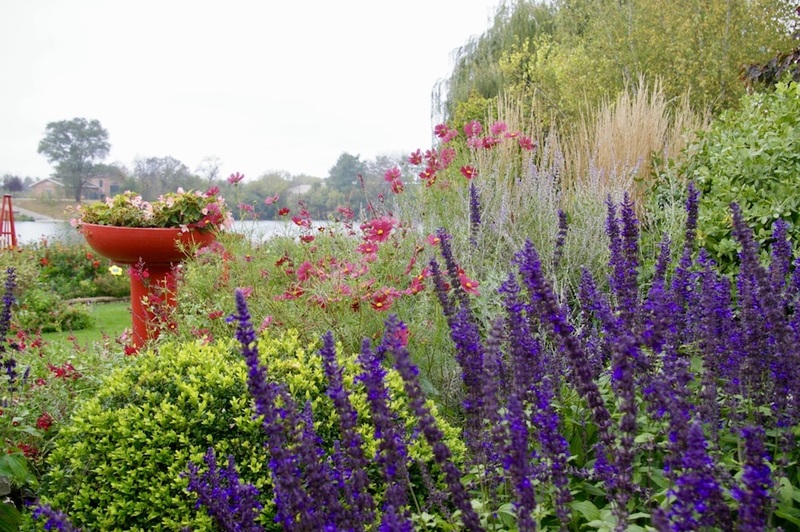 Visitors can explore on their own or opt for a guided tour of the gardens. 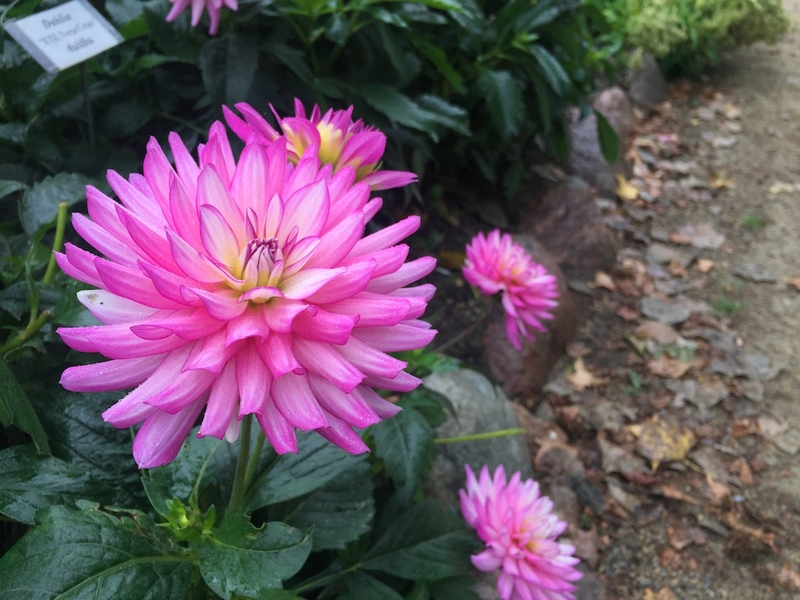 The Rotary Botanical Gardens also offers a wide variety of educational programs for adults and families alike. Even if you don’t have a full afternoon, I recommend popping in to the gardens to discover an unexpected source of inspiration. 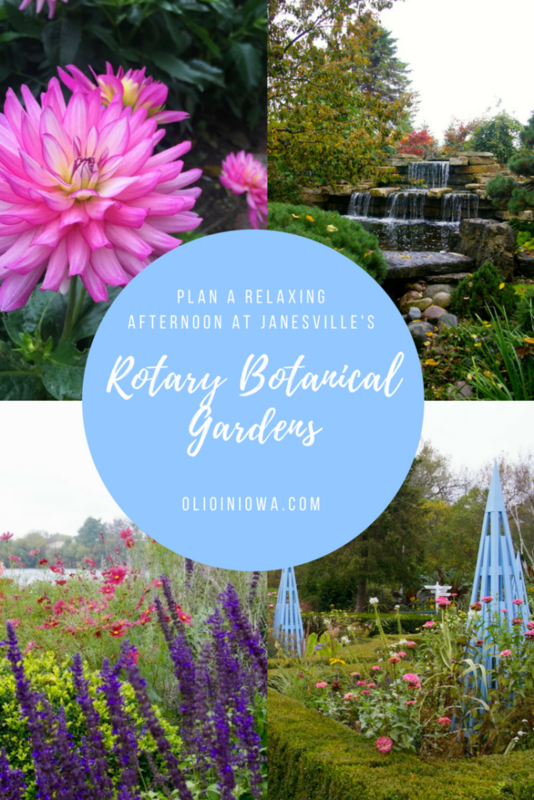 Whether it’s one stem that strikes you or an entire garden’s design, you’re sure to leave the Rotary Botanical Gardens recharged and ready to tackle the rest of your day. I would love to hear from you! How do you enjoy the outdoors when you travel? 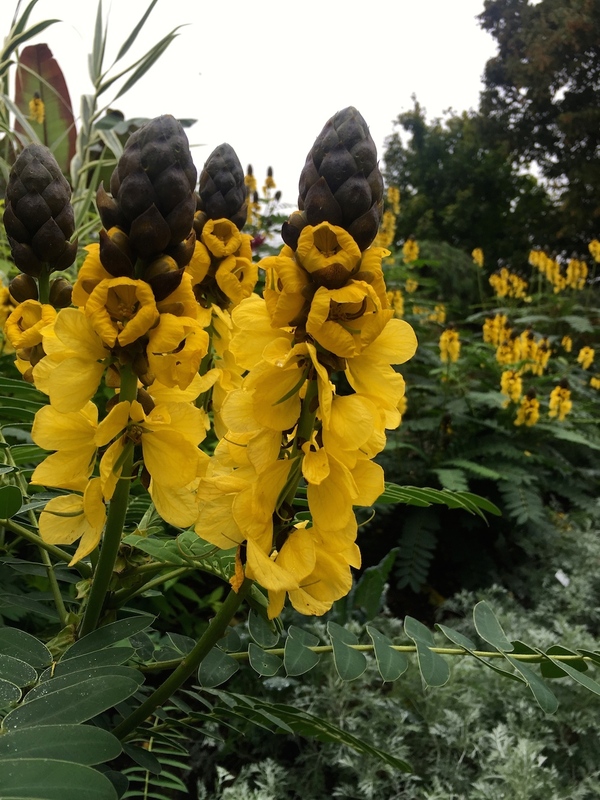 Have you visited a botanical garden before? Thank YOU! I had an absolutely incredible time experiencing all of the wonderful things Janesville has to offer!